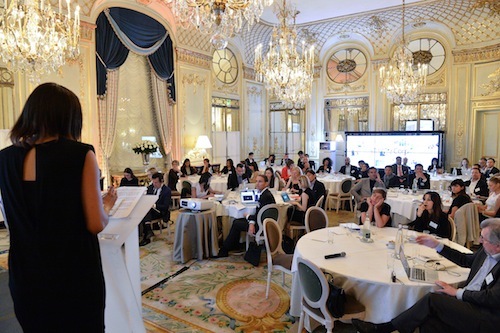 The Club eLuxe International Summit, recently held at the Meurice Hotel in Paris, on digital marketing for the luxury industry was a grand success! Most of the major luxury brands were represented at the event with participants from 11 countries. What became abundantly clear to us as participants was the fact that luxury real estate marketing professionals face many of the same challenges as the top luxury goods companies when it comes to reaching high net worth consumers through digital media. It also became clear that the future of digital media is already here! Competition for attention was identified as a key issue in marketing via digital media. Not only do you need to capture attention, you need to hold the attention of your target market. One of the highlights of the event was a presentation by Joerg Zuber, managing creative director of OPIUM effect GmbH, who addressed this important issue. According to Mr. Zuber, “Digital lets you work pure alchemy”. It allows you to “seduce with unconventional beauty”. 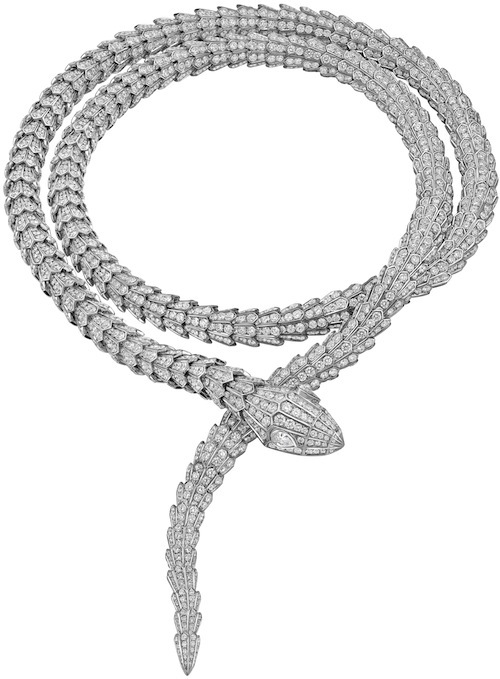 In his presentation he demonstrated this principle by showing us a sneak preview of his ANIMATED video of the Bulgari Serpenti necklace, pictured here. Suddenly, the Serpenti necklace came alive and began undulating across the screen. Converting the object to an identical animated version of itself enabled the creative team to go far beyond the constraints of mere realistic video. 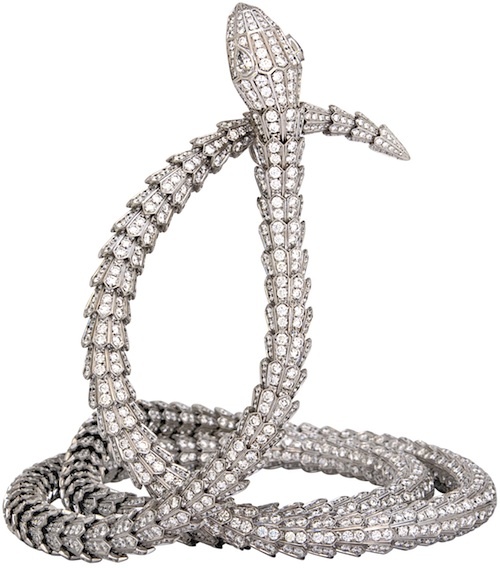 Music was timed perfectly to accentuate the writhing movements of this bejeweled serpent. Then, the serpent weaved in and out between the letters of the B V L G A R I logo and our jaws dropped! The palpable difference between the still photo, the traditional product video and Opium’s animated serpent was like showing someone, who had only seen black and white TV, a 3D movie. It was as if the product had a heart and soul that could connect with you on a deep level making it, “even better than the real thing”, said Zuber. Realistic animation is one of the waves of the digital media future and most likely will be utilized to market luxury real estate. When you think that the Bulgari necklace cost about $250,000 it stands to reason that multi-million dollar homes will soon require digital media marketing that goes far beyond still shots, slide shows and traditional video. To stand out from your competition, you need to present your luxury properties in such a way that they not only capture attention, but also hold the consumer’s attention. It is not how much you spend that counts. It is how well you do it. Stay tuned for Part 2 about the Club eLuxe International Summit in Paris where we discuss another mind-boggling aspect of digital media that points the way to the future of luxury real estate marketing.